RESTAURATEUR AND NIGHTCLUB entrepreneur John Reynolds is hoping to open his new music venue on Clarendon Market in Dublin within the next six months, a court has been told. Barrister Constance Cassidy SC told the Circuit Licensing Court that Reynolds is a director of Width of a Circle Ltd, which was granted planning permission to change the use of No 5, Clarendon Market, from a retail unit to a restaurant, bar and live music venue. Cassidy said Width of a Circle was now seeking a declaratory certificate to ensure it would get a full licence if the premises are built in accordance with planning permission. Counsel told Judge Karen Fergus that the new premises will comprise of a bar and restaurant area on the ground floor and a live music venue upstairs. John Reynolds – the man behind the Market Bar, Tripod and Idlewind Bar on Fade Street – said the concept for his new premises will include a gastro bar which will serve “rustic” Irish food. Reynolds told the court that the new venue will employ 32 staff and he will be involved in running the “quirky” premises. Cassidy said Width of a Circle Ltd was formed in June 2015 and had an agreement to buy out a full license from Dundalk Football Club Limited. She said that if the company was granted the certificate, it would have two years to come back to the court and apply for a full license, but was hopeful to do so within the next six months. Judge Fergus granted Width of a Circle Ltd the declaratory certificate. Email “Electric Picnic founder John Reynolds is looking to open a 'quirky' new music venue in Dublin”. 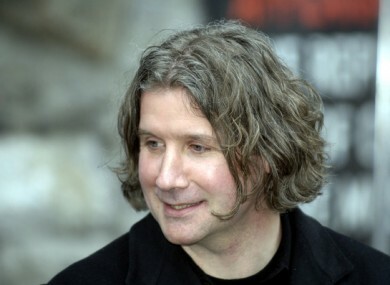 Feedback on “Electric Picnic founder John Reynolds is looking to open a 'quirky' new music venue in Dublin”.